Boulderklub + Five Elephant-double shot. DON’T Let THE COLD STOP YOU FROM LIVING YOUR BEST LIFE. CLIMBING, COFFEE AND CAKE - NEED WE SAY MORE? START: Boulderklub Kreuzberg, Ohlauer Str. 38, 10999 Berlin. FINISH: Five Elephant Kreuzberg, Reichenberger Str. 101, 10999 Berlin. U / S - BAHN: Görlitzer Bahnhof. 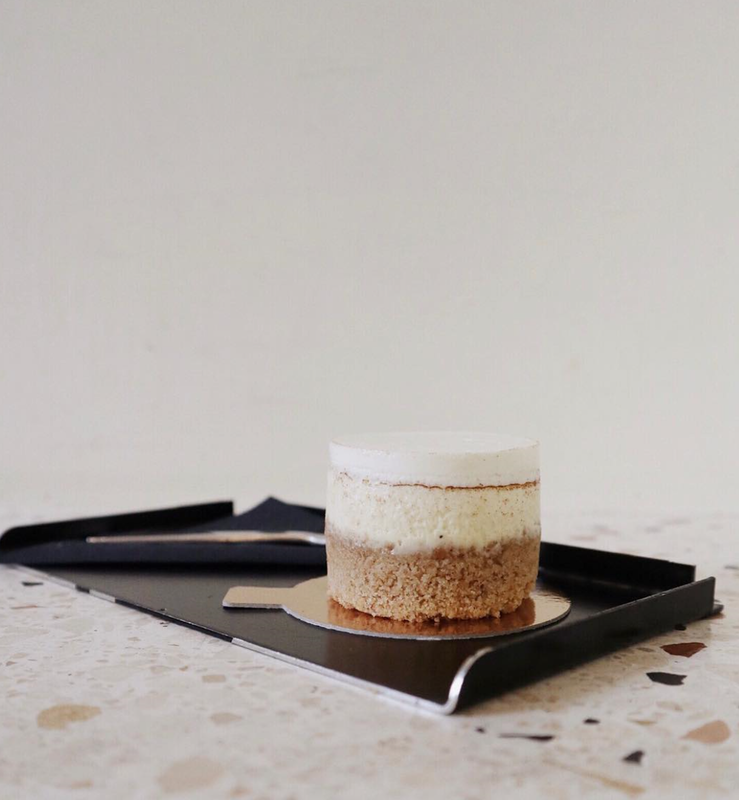 THE FOOD: Coffee and cheesecake from Five Elephant is a local staple. This place serves up some of the very best in-house roasts of the city, so if you’ve got a friend who’s a coffee-snob then bring them here. A flat white or a cortado with oat milk is always our go-to, but to savour the pure taste of the coffee then keep it simple with a filter coffee. Ask the guys that work here to drop some coffee knowledge bombs if you want to know more. A slice of philly cheesecake is a must after climbing. The base is chewy with a melt in your mouth filling. If you aren’t a cheesecake lover, then there are plenty of other cakes you can go for like chocolate brownie cake or banana bread. The café also has a daily selection of fresh pastries and fruity tarts which also go down a treat. THE PRICE: A drop-in day pass is €10 or for students its €6. A pack of ten passes is €90, or access for the year is €450. Five Elephant coffee: flat white €3.6, latte €3.8, fresh tea €3.5. Food: cheesecake slice €4.5, whoopie pie €3, tart €4. BEST FOR: Staying active but in a cosy, “indoors” kinda way. Sophie Heywood 20 December 2018 JOHN'S BOOTCAMP, Karl-Liebknecht-Str. 13, 10178 Berlin.